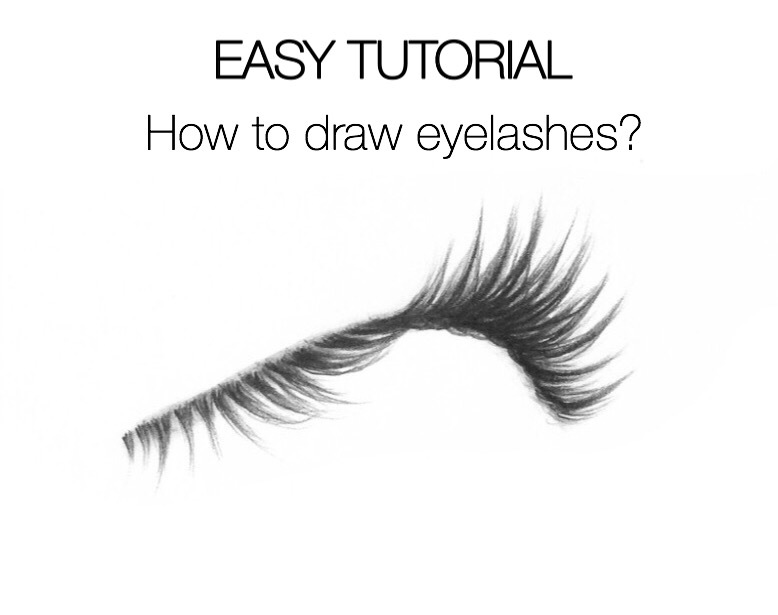 01 Apr Easy Tutorial – How to Draw Eyelashes? Although the eyelashes constitute only little part of whole eye, drawing them in right way is really important for getting realistic natural look of the eye. This little tutorial will show you some common mistakes and basic tips for drawing eyelashes in right way. Remember none of your lashes is really straight. Therefore you should practice drawing little curves. Start drawing the lashes from the root. Try to draw slowly while drawing slight curves. The lashes are always a bit thinner at the end. Start drawing each of them with a bit of pressure and slowly release the pressure at the end. Use different angles in order to make your lashes look more realistic. I followed your Instagram and blog recently and your mini tutorials are wonderful. I love drawing eyelashes and this is the exact technique. Looking forward to learning some new bits. I’m still working on hair and k spy lots of hair tutorials so thank you. By @ssidhantgupta : Wow so helpful.. and i loved your portfolio too! Great information in this blog. I keep learning from you. Thank you for doing this, it was such a great help!